Composition: Macadamia oil contains 80% monounsaturated fatty acids known for lowering the risks of cardio-vascular accidents. It is also rich in palmitic acids and prevents oxidation of the cells (anti-aging effect). cell protecting (it softens and apeases the skin, soothes stretch-marks, chapped and cracked skin). 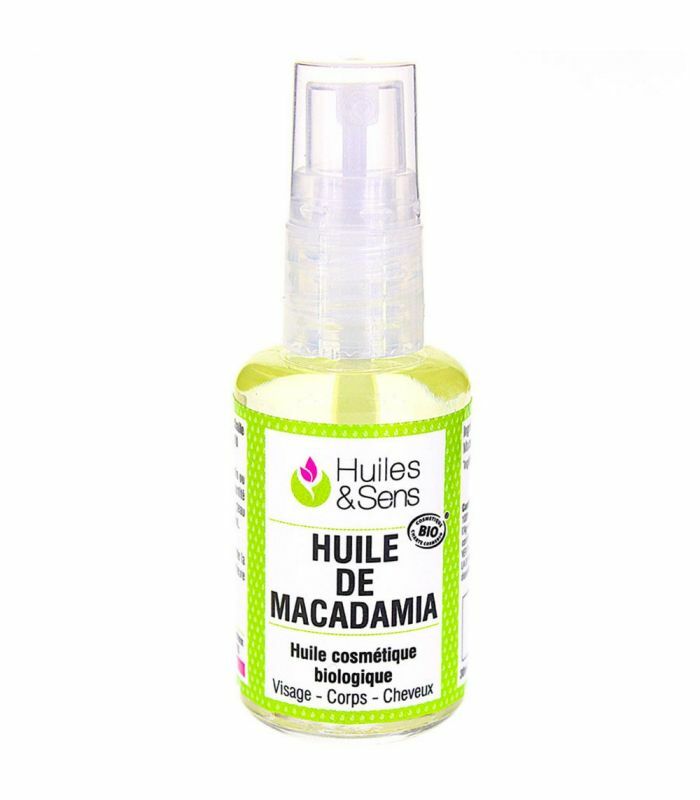 Macadamia oil quickly penetrates leaving no greasy sensation (day care oil). For massaging, Macadamia vegetable oil is one of the very best. For best results when mixing vegetable oils and essential oils, we recommend using our measuring pipets (in ml) as well as our glass or plastic bottles (see in our products menu and bottles / pipets on the left column). To learn more about vegetable oils, go to this page: vegetable oils.